Most compact system cameras use a contrast-detection AF system that works best when good (contrasty) light is available. Indeed, in daylight the AF speed of the GF6 is near instant. Users of a camera like this would tend to rely on the multi-area focusing for general shooting, and in this case its a 23-area system. However, I am a fan of using the touchscreen for single-area touch AF too, and found this to be just as quick. It is an intutive method of focusing. 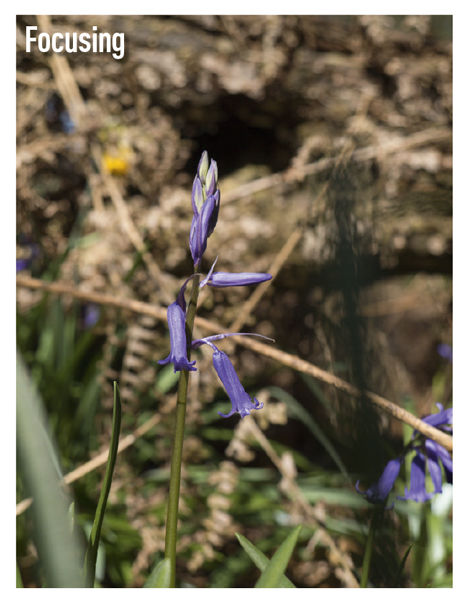 For some precise subjects – for example, picking out a single bluebell flower – even spot AF may not pick up the subject, focusing instead on the background. Manual focus works better for occasions such as these, and MF assist handily magnifies the detail on the rear screen to make it easier to check whether the subject is sharp. Continuous AF is possible, which is particularly useful for video recording, and on the whole this proved smooth in operation. Also, subject-tracking AF seemed to cope well with moderate movement. All in all, the GF6 has numerous AF modes that between them cover day-to-day shooting. It’s in low-contrast light that contrast-detection AF can struggle a little. According to Panasonic, slowing the GF6‘s AF readout from 120fps to 15fps when low light is detected improves its sensitivity by 8x. In practice, I was pleased with the performance of AF in low light – it is certainly quicker than I have come to expect contrast-detection systems to be. In really low-contrast light, the AF assist lamp kicks in, which, of course, helps focusing on close-range subjects too. Overall, the performance in low light does not match that of the systems found in enthusiast and pro-level DSLRs, but for a camera of its type, the GF6 is still up there with the best of them.